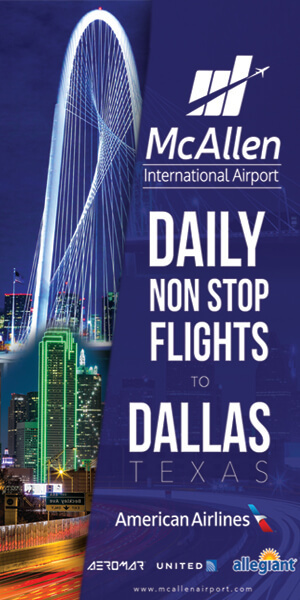 The city of McAllen, McAllen Chamber of Commerce, McAllen Economic Development Corporation and Anzalduas International Bridge. The purpose of the lunch was to thank Consul Eduardo Bernal for its great support to the City during his tenure as Consul of Mexico in McAllen. 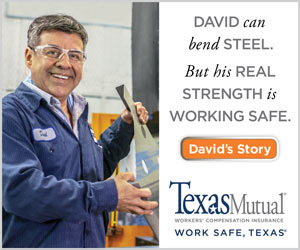 Among the attendees were representatives of the City of McAllen, the McAllen Chamber, and MEDC. 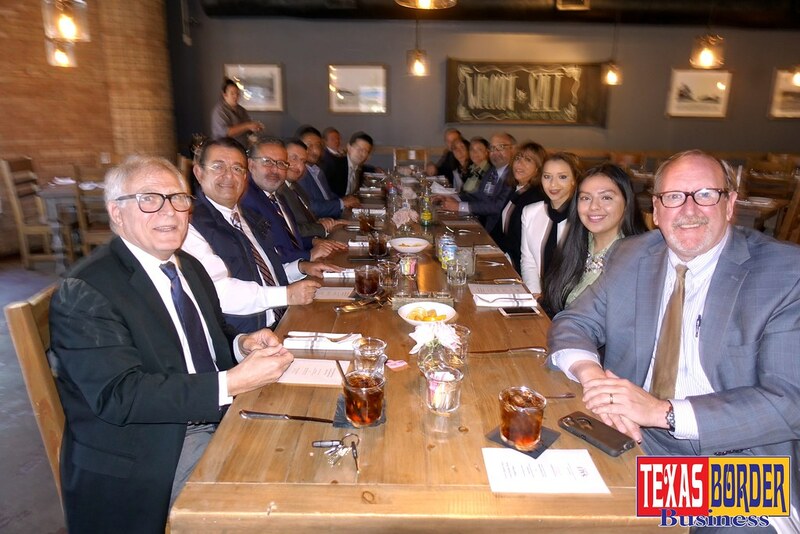 Also, representatives from the Mexican Consulate in McAllen, currently in charge of Consul Socorro Jorge Cholula attended the lunch. Assistant city manager Joe Vera thanked Consul Bernal for its contributions to Fiesta de Palmas event. Luis Cantu, Vice President for McAllen Chamber of Commerce, thanked Consul Bernal for his continuous collaboration with the McAllen Chamber of Commerce in the organization of multiple events done in McAllen. 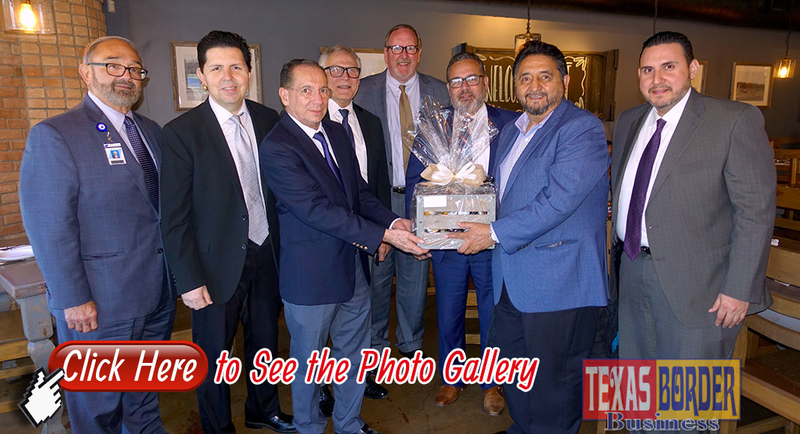 A gift was presented to Consul Bernal by City or McAllen, the McAllen Chamber of Commerce, McAllen Economic Development Corporation and the Anzalduas International Bridge represented by Joe Vera, Steve Ahlenius, Keith Patridge and Rigo Villarreal. In his remarks, Consul Bernal thanked all the attendees for their support to his consular office during this past year. Rather than a farewell, he wanted to see it as a “hasta la vista” lunch. He plans a continued collaboration with the City of McAllen outside the consulate, particularly with MXLAN La Guelaguetza event and Fiesta de Palmas among other things. The group recognized his broad knowledge in international relations and considered him a key contact in Mexico. Roberto Gonzalez, publisher of Texas Border News one of his close friends also in attendance.